1x Buckled 4 pin serial I2C / UART interface (selectable via on board jumpers) providing convenient connection to serial or I2C sensors or displays. 12x Servo headers proving access to digital pins 0 to 13 with VCC and GND power connections. 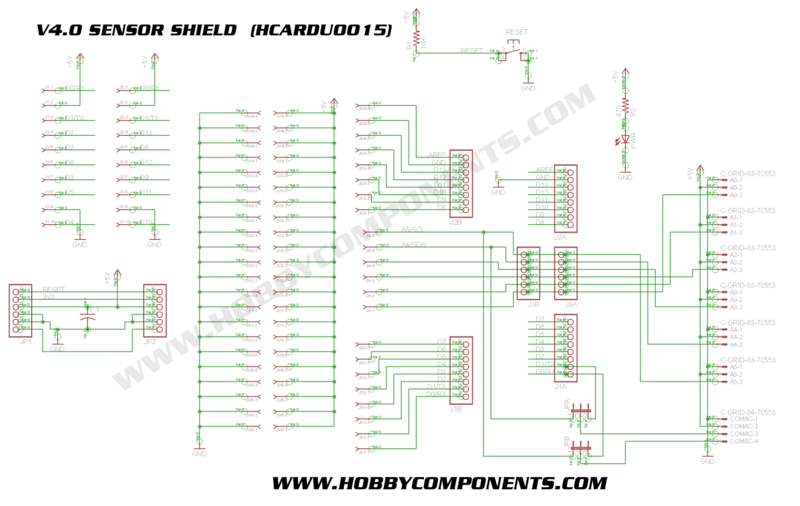 Standard Arduino headers for adding additional shields. Please note: I2C interface compatible with Uno only. 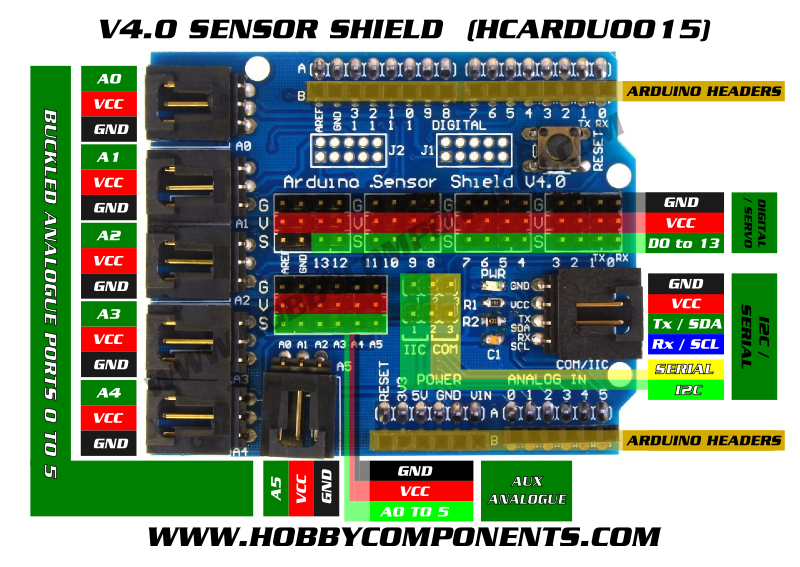 When connecting multiple servos please check power requirements of each servo.